So I have had my phone for a month now and I can say that I have had a really good chance to try it out. I took it camping, to the rodeo, all over Houston and shopping almost every day. I really LOVE it. I was going to drop the data package after this month and of course I am now so completely hooked that I can’t possibly live without it. I really can’t tell you the number of times I was in a store, had forgotten a deal, and pulled it up on my phone. I am convinced that although I have to pay the extra every month that for the convinced and the money that I saved being able to find a deal last minute that I really might come out ahead. Actually, last night Paul went to Walgreens at midnight to make copies off a disk for our daughters Flat Stanley project, due of course today. The total was $10. 50 for the pictures, he quickly googled a coupon code and got them for $3.50. I was VERY impressed! Good Man. I was also able to answer my email asap which was nice, I felt like during those times I am waiting in the car for the kids, and during baseball practice when I am just sitting there I felt so much more productive. All in all it was a great experience I highly recommend this phone (in fact my husband got one a few weeks ago) it is easy to learn, very “cool” looking, and quick to use. I love the “mirror” on the back, whether it was meant to be there or not, I LOVE it. Fine print: Verizon provided me a phone and 1 month of service for my review. These opinions are all mine and I could have said anything I wanted too! Since we were talking about apps, or I guess I was boring you with that one… My Husband has a new favorite app. Both of us have the new Palm Pre Plus, Paul has gone a little app crazy. I shared the story of the very useful GPS app on our trip. This one is on the other end of the spectrum, that is of course unless you get trapped in a tractor beam at a Renaissance Festival. The app you ask? 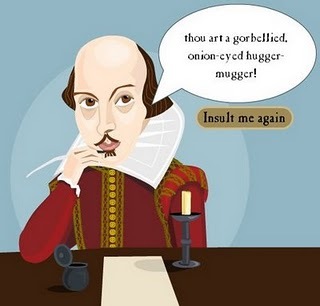 The “Elizabethan Insult Generator”. Oh yes, it does exist. Have you ever been walking down the street and had this directed at you? “ Thou be an errant bat-fowling fustilarian” and been stumped? You were just called an aimless, bird catching scoundrel. Who knew? Have you been driving down the street minding your own business and heard “Thou art a jarring unchin-snouted flirt-gill? You have just been told that you are a truly rasping, urchin- beaked loose woman. Worry no more, if you are ever stuck in that tractor beam not only will you be able to translate the insult, you can let one fly back at them! Don’t think we haven’t been taking advantage of this one. What else is there to do when you have 6 kids, one on the way and your wife gets rid of the cable…. torture her, of course! P.S. Thank you for all the concerned emails about the Chippendale Dancer of the month app that he (my caring husband) downloaded on my phone. Yes, I had to take my phone into the Verizon store and have the nice young man at the counter remove it from my phone. Yes, I drug all 6 kids in with me when I did it and my VERY pregnant self. I was waiting for the Verizon guy to ask me the standard, “you know how this happens right?” pointing at the kids, but he didn’t… then again, he was REMOVING a Chippendale Dancer of the month app from my phone. No comments were needed. The Fine Print: Verizon provided me with my Palm Pre and one month of service. 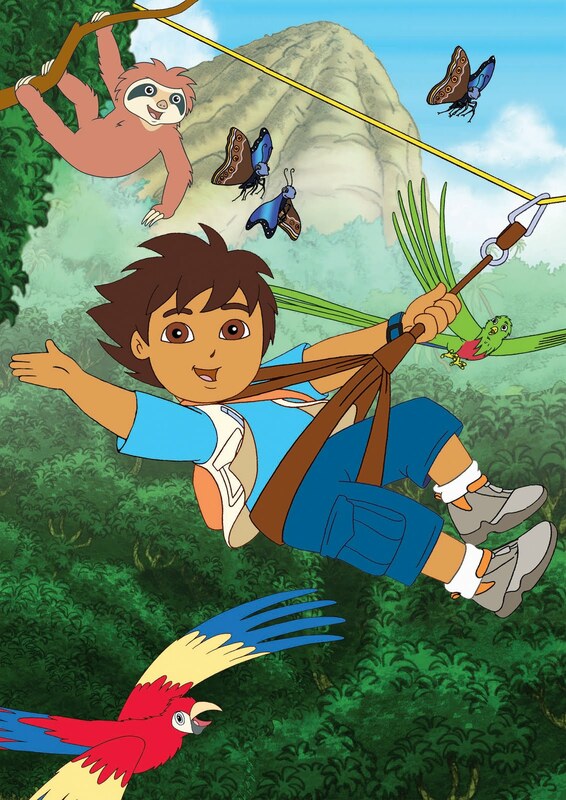 Palm Pre meets Go Diego Go! As you guys know I have been doing a review for the fabulous new Palm Pre Plus phones from Verizon. I wanted to share a use that is new to me, maybe you’ve tried it. In Houston we have the best Rodeo in the world that brings in performers like Brooks N Dunn all the way to the Black Eyed Peas. This year’s hottest ticket was the Jonas Brothers and Demi Lovato. Everyone in the world wanted to go to that concert, right? Wrong! The two year old that had been at the rodeo all day was finished. Done. Ready to go. Baked. The group of 10 year olds in front of us thought they had lungs, they then learned who the king of scream was. We were in the nose bleeds and I swear I heard Joe say, “Is everyone okay up there?” There was no way we were leaving the concert we had just gotten over the altitude sickness but were still a little light headed, we were in a quandary. Then my husband who also has the Palm Pre Plus, had a rare but timely stroke of genius. He opened up the web browser, busted out the head phones, went to YouTube and calmed “Chucky” down with some “Go Diego Go”. The screen has a really great quality on these phones and a disaster was averted. Anyone else have a screaming baby story to share? 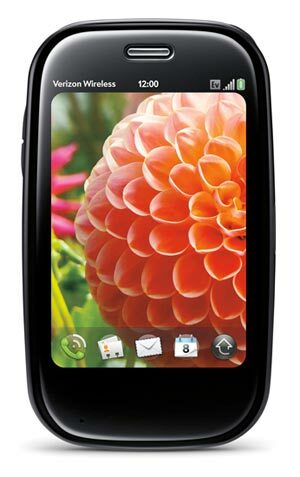 The fine print: Verizon provided me withe the Palm Pre and a month of service to preview, and I am LOVING it! I saved the day with my phone! I am still learning my new phone. At my advanced age it is all I can do to do it on my own and not have a pre-teen help me. But, honestly it has been very user friendly. These guys were looking for a new Kroger that they were meeting the new general manager at. I whipped out my phone, and googled it. Google maps found it right away, I showed them where to go and tried to figure out how to tag along! The little early 20’s cashier was also super impressed, and I didn’t even need her help working my phone!! The Fine Print: Verizon provided me with the Palm Pre and a month of service. These opinions are my own. 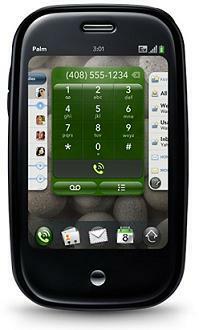 Palm Pre, it’s like a Swiss Army Knife! This is what the back of my new Palm Pre looks like. I think a woman designed it. That silver part at the top when you slide your phone open? You can use it as a mirror! Comes in handy when your window is open about 3 inches, and you think your car keys are on the floor board under the front seat. Oh, and of course the doors are locked and the spare is at baseball practice with your husband across town. I’m feeling a little like MacGuyver right now, me and my nifty little new toy/phone. Together we were able to locate the keys and use a stick to pull them out of the car. See, I told you I was a boy scout! As a blogger you get tons of requests to review products. I turn down about 95% of them. First, I don’t have time and second, I really don’t have the time! For the past month I have been working on developing an application for iphone and blackberry, to use while grocery shopping. Basically how to know if you are getting a good deal and where the best deals are this week at which stores. I had been inside my Verizon store at least 10 times in the past month looking at phones and trying to decide which one would work for me best. I love my current phone the ENVY, although I don’t use the data package. I was really pleased to have the chance to try this phone and see if it was for me. Verizon, sent me one for free to try along with a month of the data package. How do you pass that up?! I just got it yesterday, and so far I like it. It is small and sleek, it fits really nicely in my hand. The coolest feature is that you can have many applications open at once, your mail, internet, phone book etc. I LOVE that feature because I am accustomed to looking at many pages at once due to my Mac. The only drawback for me so far is actually a physical one, I don’t like how the slide feels when you open the phone to use the keyboard. My husband and kids are all over my new phone, you can download about 100 games for free and I think they have tried about 99 of them! I immediately stuck a case on it as I am notorious for dropping phones, I like how this phone doesn’t loose its shape and slickness when a case is on it. I also really liked the way my emails came across the bottom, sitting in car line getting the kids is going to be much more interesting from now on! The fine print: Any statements I make about this phone provided to me by Verizon are my own opinion, in compliances with the FTC. I’ll give it to you straight!